..... Click the link for more information. the Agnus Dei, or Lamb of God, is said or sung while the communion bread is being broken for distribution. It is usually the final movement of choral masses. In Anglican worship it is sung during communion. 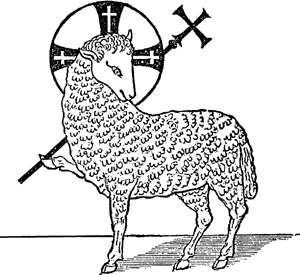 In iconography a lamb with halo and cross is called an Agnus Dei.